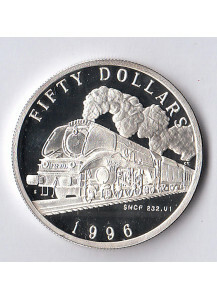 MARSHALL ISLANDS 50 Dollars 1996 Serie Locomotive a vapore Ag. 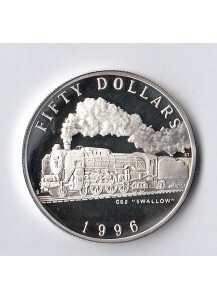 Proof DB Class 01 Moneta custodita..
MARSHALL ISLANDS 50 Dollars 1996 Silver Proof Steam Locomotive C62 Swallow Monet..
MARSHALL ISLANDS 50 Dollars 1996 Serie Locomotive a vapore Ag. 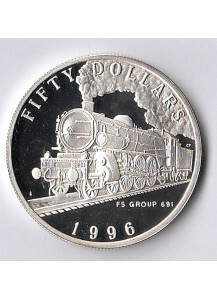 Proof FS Group 691 Moneta custodit..
MARSHALL ISLANDS 50 Dollars 1996 Serie Locomotive a vapore Ag. 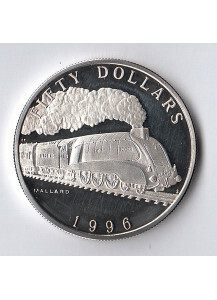 Proof Mallard Moneta custodita in ..
MARSHALL ISLANDS 50 Dollars 1996 Serie Locomotive a vapore Ag. 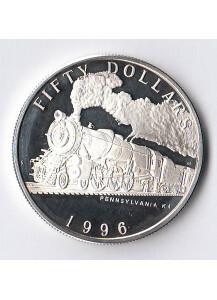 Proof Pennsylvania k 4 Moneta cust..
MARSHALL ISLANDS 50 Dollars 1996 Serie Locomotive a vapore Ag. 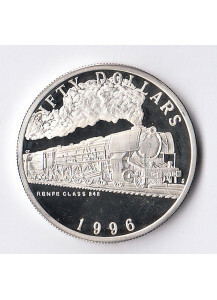 Proof Renfe Class 242 Moneta custo..
MARSHALL ISLANDS 50 Dollars 1996 Serie Locomotive a vapore Ag. 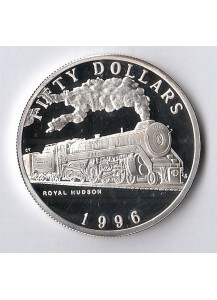 Proof Royal Hudson Moneta cus..
MARSHALL ISLANDS 50 Dollars 1996 Serie Locomotive a vapore Ag. 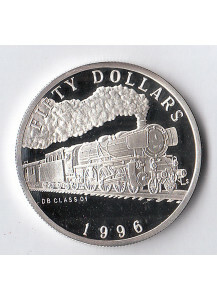 Proof SNCF 232.U1 Peso 31.10 Gr. 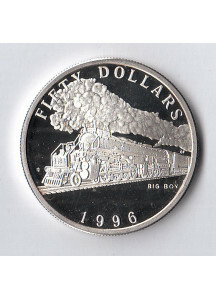 ..
MARSHALL ISLANDS 50 Dollars 1996 Silver Proof Locomotive a vapore Big Boy Moneta custodita in cap..